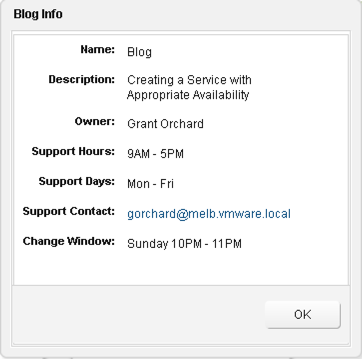 I was over on the VMware Communities tonight, as I often am when I need to settle my mind (don’t ask, I have problems) when the following post popped up. 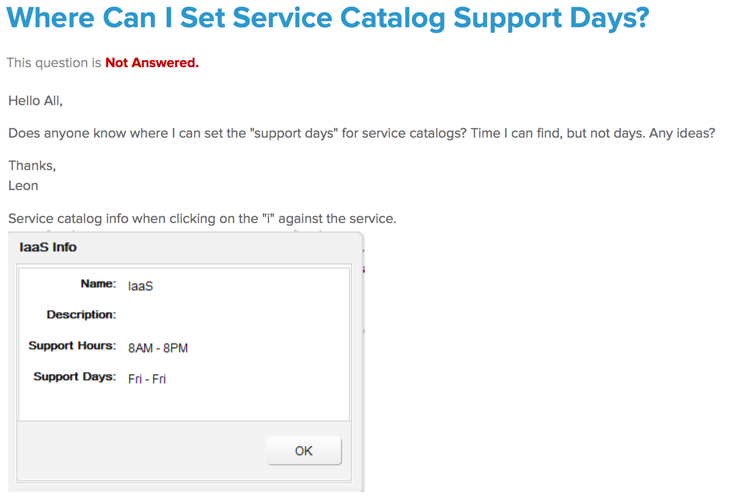 You’d think that this would be straightforward, but it turns out that when you do this via the GUI that the only field is for “Hours” and it automagically selects the day that you’ve created (or updated) the Service. That got me more than a little curious, so I took a look at the JSON defining a Service. 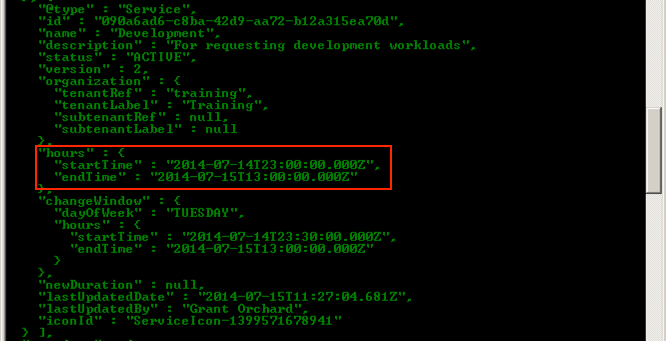 Yep, so it seems that “Hours” does contain dates, so I got to wondering if it was changeable. I got the format right and was able to use a PUT to update the details so that it displayed the correct values, but until 6.1 the API isn’t easily accessible for everyone – enter vCO. 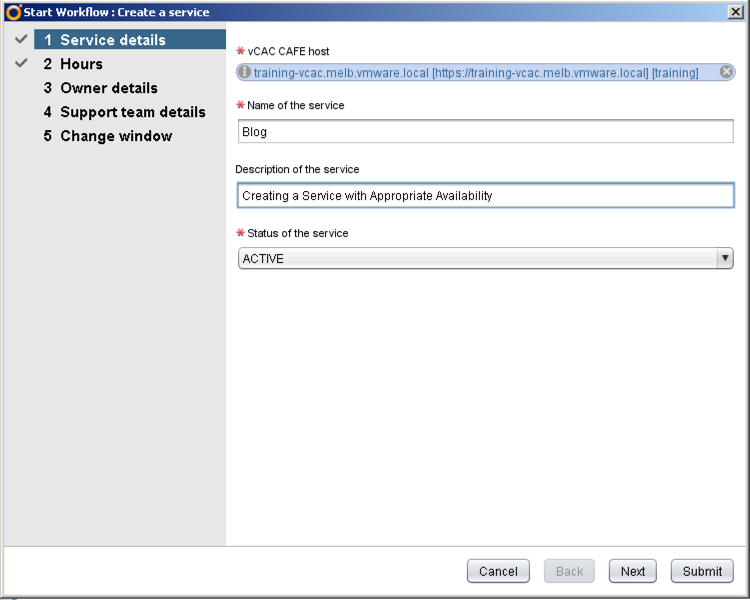 There is a workflow in the vCAC plugin called “Create a Service”. Open it up. Note: I’m assuming you’ve registered vCO with vCAC. 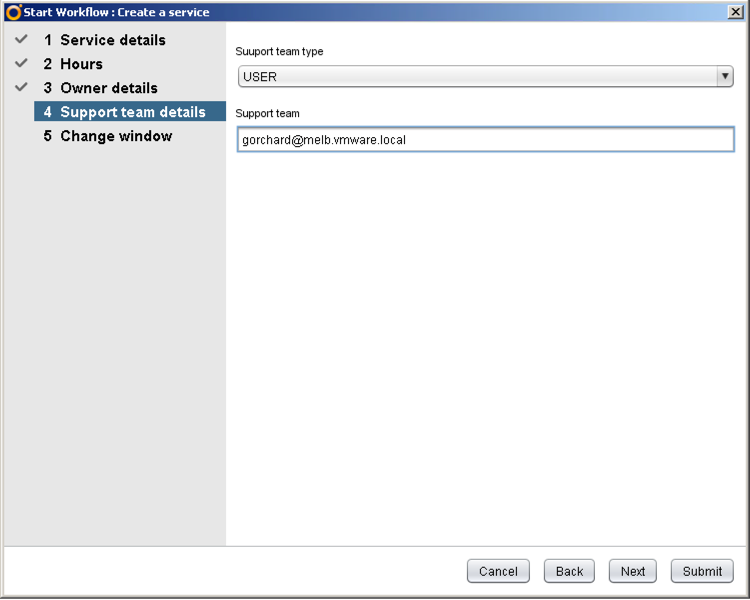 [two_thirds]First port of call is to select your vCAC Appliance. Hopefully this process is a little more straightforward soon!